This course focuses on linear, nonlinear, and mixed-integer linear optimization concepts in SAS Viya. Participants learn how to formulate optimization problems and how to make their formulations efficient by using index sets and arrays. The demonstrations in the course include examples of diet formulation and portfolio optimization. The OPTMODEL procedure is used to solve optimization problems that reinforce concepts introduced in the course. This course can help prepare you for the following certification exam(s): SAS Forecasting and Optimization Using SAS Viya 3.4. Identify and formulate appropriate approaches to solving various linear, mixed-integer linear, and nonlinear optimization problems. Create optimization models commonly used in industry. Solve optimization problems using the OPTMODEL procedure in SAS. Before enrolling in this course, you should be comfortable with data manipulation using basic SAS tools. 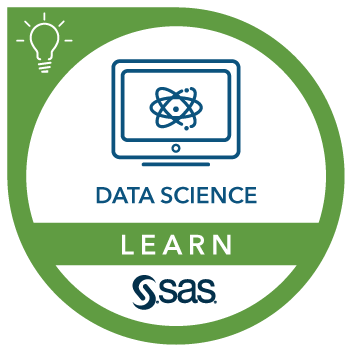 You can gain this course-specific knowledge in data manipulation by completing the SAS® Programming 1: Essentials course. Some knowledge of linear programming concepts and matrix algebra is helpful but is not required. This course addresses SAS Optimization software. Formulating and solving linear programming problems using the OPTMODEL procedure. Using index sets and arrays in the OPTMODEL procedure. Dual values and reduced costs in the simplex method (self-study). Applied data envelopment analysis (self-study). Reading SAS data sets (self-study). Solving nonlinear programming problems using the OPTMODEL procedure. Introduction to integer and mixed-integer linear programming. Solving integer and mixed-integer linear programming problems using PROC OPTMODEL.